Mining giants BHP Billiton and Vale’s assets in Brazil have been blocked by a federal judge over the deadly collapse of a dam. The joint-venture company they own, Samarco, does not have enough resources to cover the potential damages, estimated at 20.2 billion reais ($5.2 billion), the judge ruled. The dam burst last month, flooding a vast area and killing at least 13 people. Anglo-Australian company BHP Billiton and Brazil-based Vale said they had not been officially notified. Judge Marcelo Aguiar Machado’s ruling was published on December 18. The two companies will also have to implement “immediate damage-mitigating environmental measures” or they will be liable to a daily fine of 150 million reais ($38 million), ruled Judge Marcelo Aguiar Machado. On November 28, the Brazilian government filed a lawsuit against Samarco for the environmental damage caused by the accident. Environment Minister Izabella Teixeira said the accident in the south-eastern state of Minas Gerais had “a huge impact from an environmental point of view”. The village of Bento Rodrigues was totally destroyed and the toxic mud generated by the November 5 dam collapse polluted drinking water over a vast area. “It is not a natural disaster, it is a disaster prompted by economic activity, but of a magnitude equivalent to those disasters created by forces of nature,” said Izabella Teixeira when the lawsuit was filed. About 310 miles of the Rio Doce – one of Brazil’s most important rivers – will have to be dredged in parts, vegetation replanted and fresh-water springs cleared, the minister said. Less than a week after the accident, Samarco had its mining license suspended. 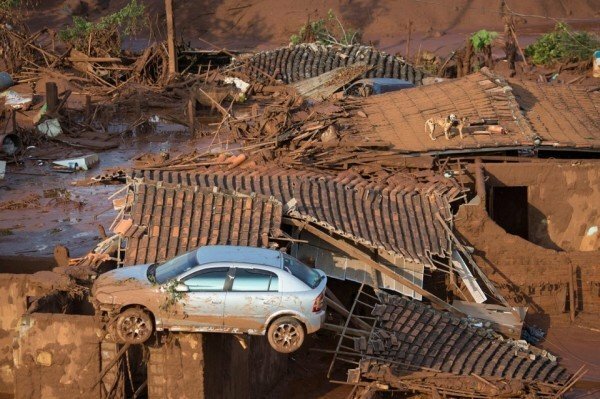 Samarco also agreed to pay 1 billion reais ($260 million) temporary compensation to the victims.